A consultant at Westmorland General Hospital (WGH) is raising money for a brand new laser to treat eye conditions – the first of its kind at the hospital. Ms R Ajit, Consultant Ophthalmic Surgeon at WGH, is raising the money for the Lancaster and Morecambe Sight Saver appeal to go towards the purchase of a brand new PASCAL Synthesis Laser. The PASCAL Synthesis laser is expected to cost around £59,000 and is used to treat retinal conditions which require Argon Laser photo-coagulation – a technique which clots the tissue in the eye to attempt to bring therapeutic benefits to patients. . This includes diabetic retinopathy, branch vein occlusion, central retinal vein occlusion, some cases of hypertensive retinopathy and some cases of age related macular degeneration. This laser will be the first of its kind at WGH, meaning patients living within the South Lakes area will no longer have to travel to Furness General Hospital (FGH) or the Royal Lancaster Infirmary (RLI) for treatment of these conditions. Ms Ajit, said “Sight is precious and I care passionately about improving services and providing care closer to home for patients living in the area. “Ophthalmology is a rapidly developing specialty and newer and improved versions of ophthalmic instruments are available which could benefit our patients. These are not currently available at WGH, meaning patients have to travel to Lancaster or Barrow to undergo laser procedures. In order to raise funds, Ms Ajit and the Ophthalmology team have already held some small fundraising events, and there are multiple events organised. So far these events have raised nearly £1,000. We hope to organise more events to raise money including a bake off in the macular unit in February 2017. 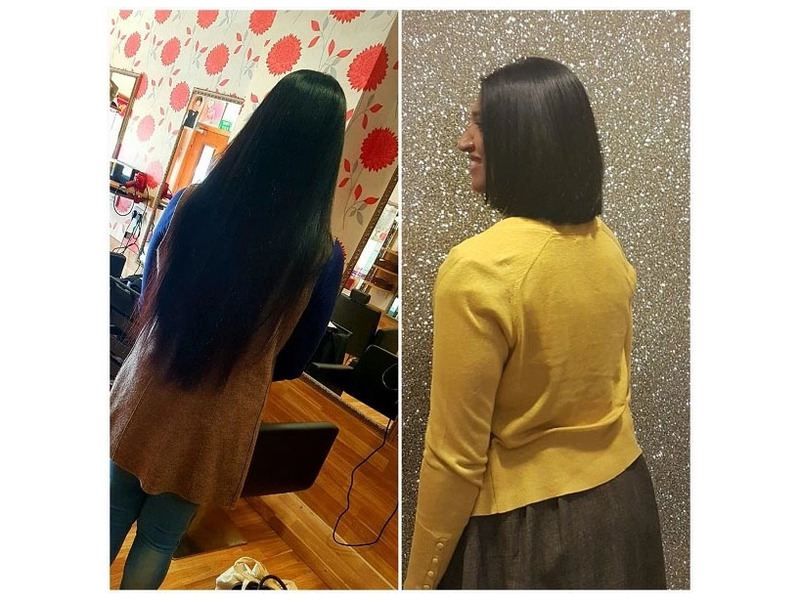 Ms Ajit has also gone the extra mile herself to raise the funds by having a massive 18 inches cut off her own hair on World Sight Day, 13 October. If you would like to donate to this great cause, you can do so on JustGiving, at the following link: http://www.totalgiving.co.uk/mypage/locksforlaser. The Lancaster and Morecambe Sight Saver Appeal was registered as a charity in 1989 by Marilyn Parry who was treated at the RLI’s Ophthalmology Department following an eye injury. Marilyn was so impressed by the treatment she received that she and a group Ophthalmology Clinicians set about raising awareness and funds for the departments at the RLI and WGH. Marilyn Parry said: “Our fundraising was so successful that we were encouraged to set up the Sight Saver Appeal Charity by the Duke of Westminster, and at this time David Gibson, then Clerk to the Justices, also got involved and kindly helped us obtain our charitable status.